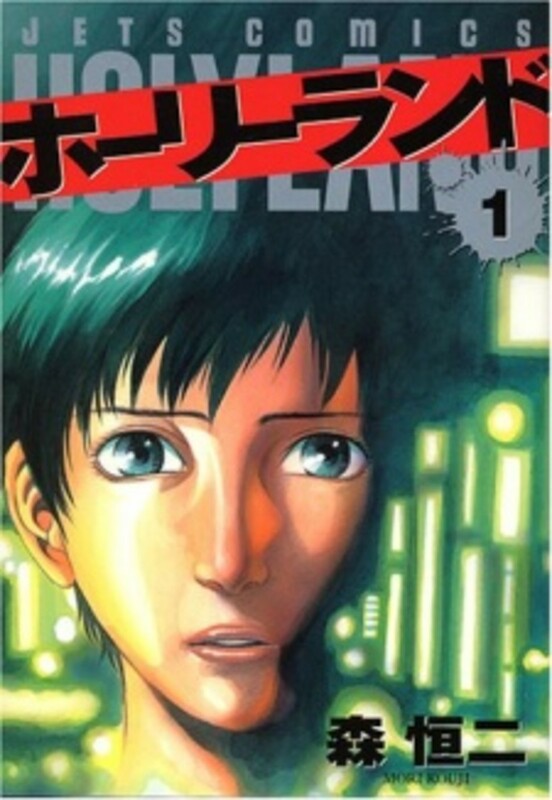 Japanese manga, now a very popular exported commodity, has been adapted into many TV shows, anime series, and movies on a domestic and international level. “Holyland” is one of them. While there is a Japanese drama adaptation, there was a four-episode Korean adaptation with the same name which broadcast on April 28, 2012 until May 19, 2012. While the series was short, the K-Drama version got straight to the point; I had wished that there were more episodes as Holyland having quite the deep story in regards to the world of underground street fighting. If you are into movies like “Fight Club,” you might be able to enjoy something like Holyland. While it seems to be one of those high school battle action anime or dramas on Japanese or Asian TV, Holyland is far from being it even though the main character is a teenager. For anybody that practices martial arts and/or are enthusiastic about martial arts, Holyland is definitely worth checking out. It comes off as a rather decent martial arts show that doesn't focus entirely on the martial arts. This is an example of how Asian TV, let alone Korean TV, doesn't focus entirely on action. For a series that's four episodes long, Holyland combines martial arts action with humanistic drama. In its own way, Holyland portrays the people as actual human beings that don't simply go around knocking each other's heads off. 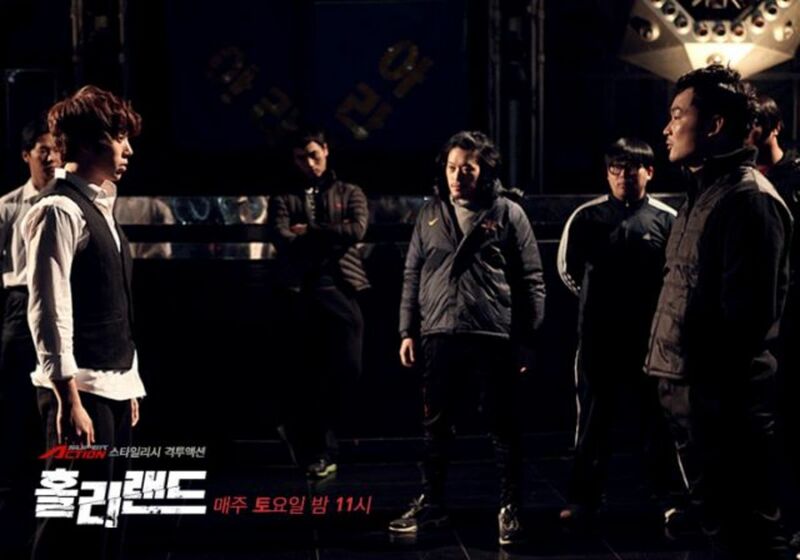 Kang Yoo, who is an amateur, takes up Boxing and manages to effectively dispatch the thugs that try to attack him. Wanting to not be noticed, he quickly runs off. Immediately, Kang is known as the “Hunter of Thugs.” However, Kang gets the attention of two criminal gangs that believe he is working for either one of the gangs. As a result, he gets put in the crosshairs of both gangs with one of them being somewhat benevolent and the other gang being very malevolent. However, Kang doesn't want to side with either one. Being dragged into something bigger than he is, Kang must fight for the place for belonging. I've read a couple of chapters of the manga; but watching the Korean drama version impressed me about how it acted as a dissemination on the martial arts. For example, Tae Kwon Do has gotten a bad reputation of not being effective in street-fighting and mixed martial arts. But, the show made sure to point out the difference between the tournament and non-tournament format. Getting later into the short series, Holyland shows the importance of cross training to compensate for weaknesses with Kang combining techniques from Boxing, Tae Kwon Do, and Wrestling. When fighting, the story does a good job of showing the difference between a street fighter and a trained & disciplined fighter. The fight scenes do somewhat add a bit of realism. I found the story to be very enjoyable. Kang Yoo is a protagonist that many people that can relate to. Watching Holyland makes me think about Joseph Campbell's lecture about the “Hero's Journey.” In Holyland, Kang Yoo is on his own personal journey. Holyland focuses on four characters: Kang Yoo, Tae Sik, Sang Ho, and Sang Mi. The first three are the most active fighters in the story while Sang Mi is the awkward love interest of Kang Yoo. 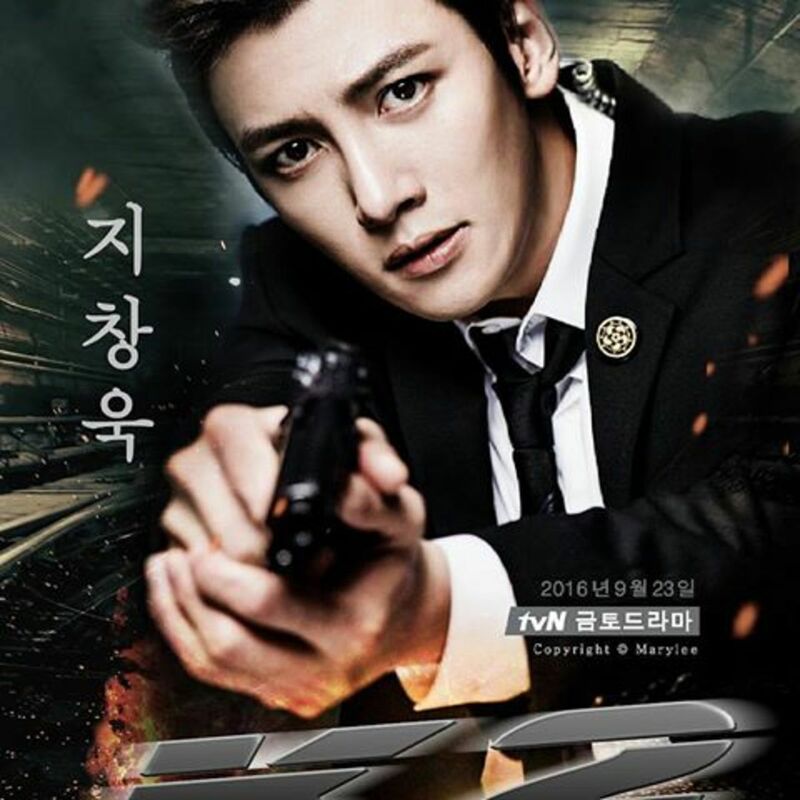 Kang Yoo – Kang Yoo is the reluctant main character; he's a rookie and the show does a good job of showing it. He's like a “baby entering the world.” Being new to the world of underground street fighting, Kang Yoo manages to get somewhat far; but, he understands the importance of adding more moves to his arsenal than just Boxing. Initially, he's hunting down thugs; but, he gets to obsessed with fighting to the point where it can get intoxicating. While a good guy, he's on the path of enjoying the fight too much. He reminds me a lot about Cody Travers from “Final Fight” who is revealed in “Street Fighter Alpha 3” for fighting too much. Sang Ho – Sang Ho, a retired boxer and known martial arts expert, serves as the mentor for Kang Yoo; however, Sang Ho is very reserved about Kang Yoo entering the world. By helping Kang Yoo out by acting as a mentor, Sang Ho ends up being in the crosshairs of his old enemy once again. He's very reluctant to pass down the torch to Kang Yoo. He acts as the storyteller to some of the support characters in the series by talking about martial arts styles and so forth. In combat, Sang Ho has proven to be a more than capable fighter. 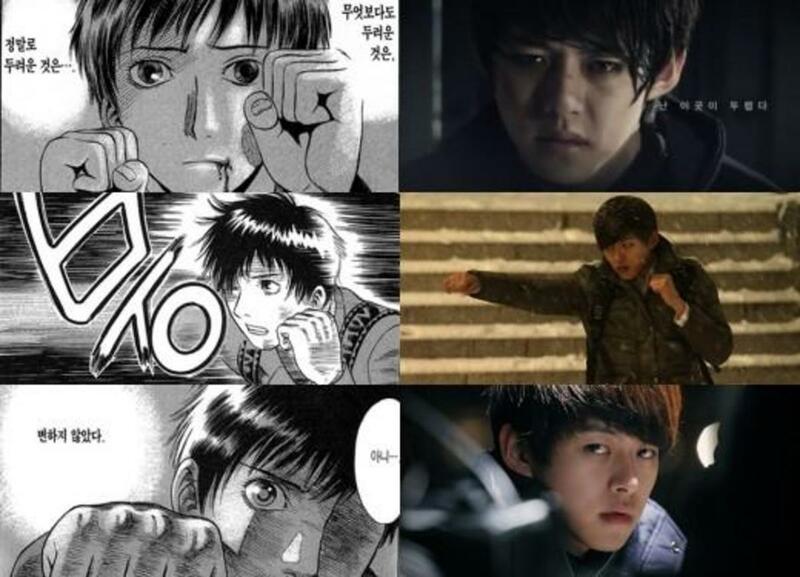 Tae Sik – Tae Sik originally appears as an opponent that Kang Yoo has to fight. From Tae Sik, Kang Yoo learns the style of Tae Kwon Do. He comes off as an experienced newcomer that becomes a valuable friend and ally to Kang Yoo. If Kang Yoo is outnumbered, Tae Sik will be there to help him out. In combat, Tae Sik shows the difference between tournament TKD and complete TKD. Gradually, Tae Sik becomes more and more important to the story. Sang Mi – Sang Mi, after being rescued by Kang Yoo, becomes interested in him. She's also the younger sister of Sang Ho. Familiar with Sang Ho's past, Sang Mi is concerned about Kang Yoo walking that same path. In a sense, she is Kang Yoo's love interest and damsel in distress. The music blended in beautifully with the series. While I was attracted to the storyline and the fight scenes, the soundtrack really got my attention. It got to the point where I couldn't help but download “Reloaded” by the group called BoM. When the music was playing, it made things more exciting to watch. If there's one thing that's memorable about the series, it would be the musical score. The music went well with the fighting; plus, it was appropriate to appeal to viewers of different demographics. Even though it was four episodes long, Holyland was one of the best Korean dramas that I had ever watched. However, I was disappointed that it was only four episodes long. This is a show that had the potential to have more episodes and span more seasons. Perhaps a reboot of the show could happen in the future; if not, it should happen. 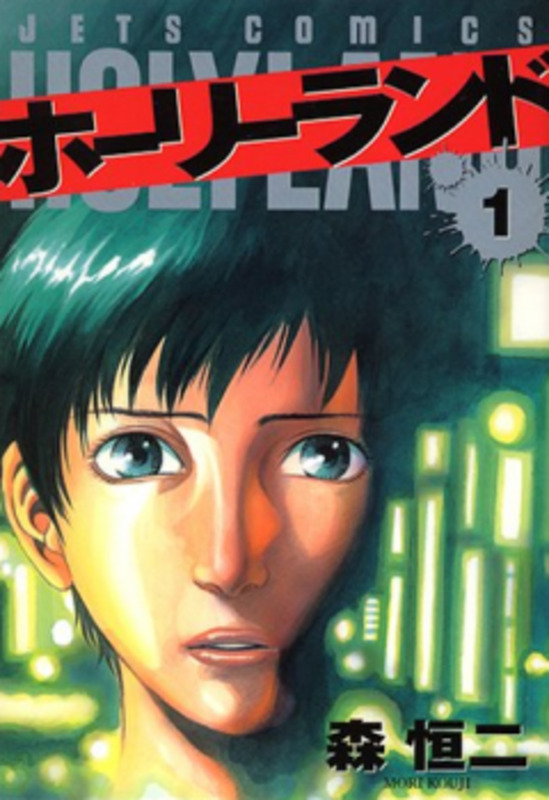 With the manga spanning many chapters, a TV show has the potential to have many episodes later down the line. It reminds of the Korean TV series called “Fight” which lasted eight episodes long. I happened to enjoy watching Fight. 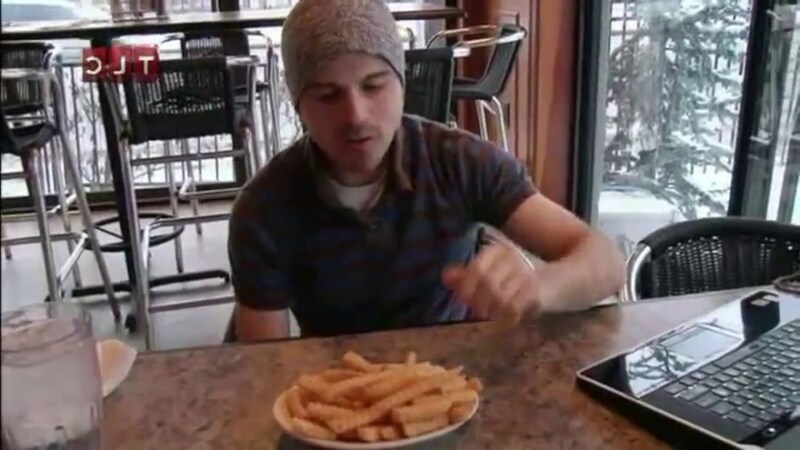 Like Holyland, Fight had the potential to be at least 16 to 24 episodes long. I truly hope that Holyland gets another reboot with more episodes in the future. If you enjoy any facet of martial arts, you should check out Holyland.